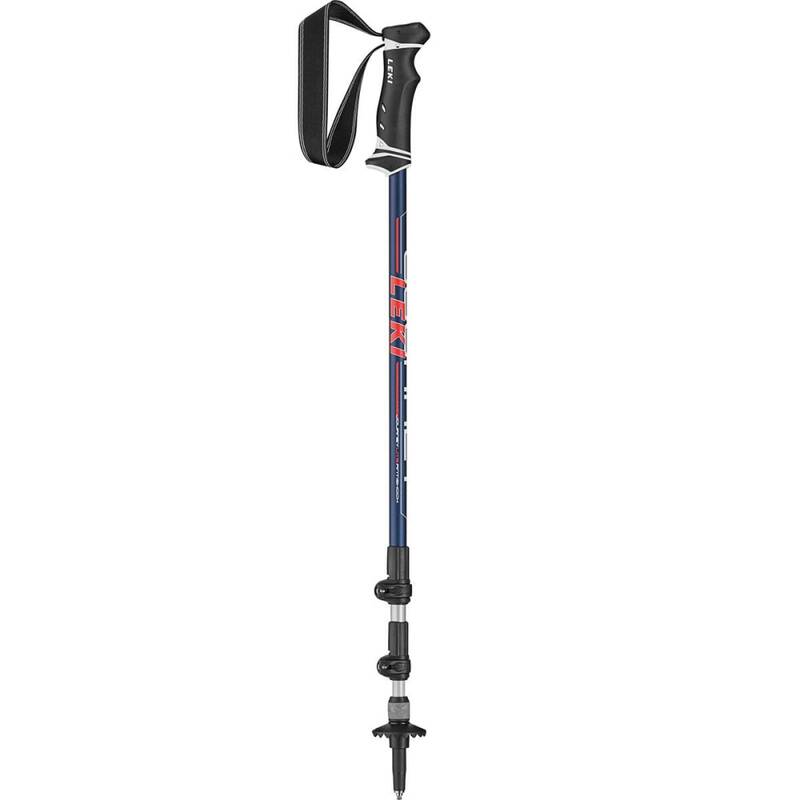 This anti-shock trekking pole is made of durable aluminum and features user friendly external locks, joint-saving shock absorbers, and rubber Evocon grips. The Evocon grips have an ergonomic shape and a quick-release strap system for safety. The pole also features Dynamic Suspension System (DSS) that reduces stress on the joints, muscles and ligaments by up to 40% and Carbide flex tips that deflect up to 30 degrees without damaging the lower pole sections. This reduces the risk of shaft breakage if the pole should get caught between rocks or tree roots on the trail. Adjustable length: 39.3 in. – 53.1 in.